Last week, veteran game studio GTArcade announced the start of the Beta phase in Canada for their new title, Spirit Guardian. The game has been met by much enthusiasm from players and the feedback received is being used to make the game even better. With a global release slated for late July, now is the perfect time to introduce people around the world to Spirit Guardian. 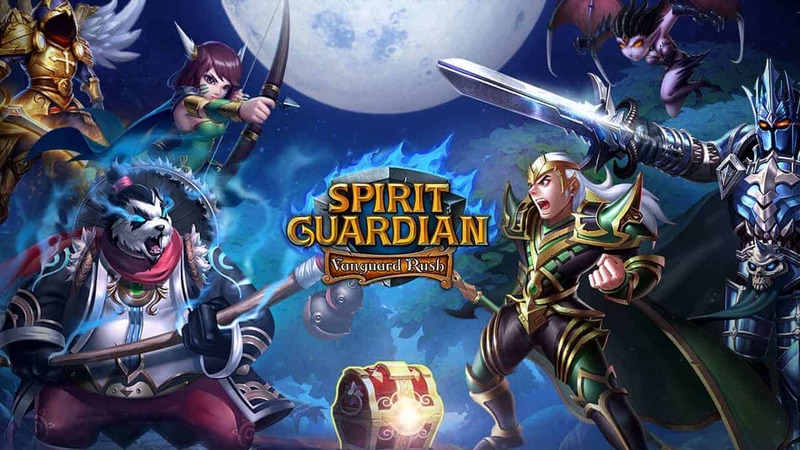 Spirit Guardian is a brand new free to play Action MMORPG which has been available on both Philippine and Canadian iOS devices, what is more exciting to players is that the Android version will be launched in August. Featuring a refined real-time battle system and colorful 3D visuals, the game is designed to be easy to pick up and play on a casual basis while offering for players looking for an immersive RPG experience. Spirit Guardian has been carefully crafted to ensure players of all types will find something fun and exciting to explore within its feature-rich content. Using a full real-time battle system, Spirit Guardian gives players complete control over their band of heroes. Dodge deadly boss attacks, land skill shots for maximum damage and counter the enemy move by move; it’s all in your hands. Dazzling full-screen effects offer a visual treat and make combat skills extremely satisfying to unleash on foes. Legendary heroes like Thor and the Monkey King come to life as they call down thundering lightning strikes and crush enemies with an enormous mystical staff. Spirit Guardian is an action-packed experience that will keep players enthralled and coming back for more. Much like GTArcade’s past titles, strategy plays a crucial role in Spirit Guardian. Players are encouraged to be adaptive in their strategies and utilize everything from their arsenal if they wish to conquer all the game has to offer. Victory is never assured, but careful planning and preparation will certainly create advantages to capitalize on. There are multiple paths to victory and situations will often call for unique approaches. A hero that might seem weak on paper could excel at a specific role or have immense synergy with another hero due to the special AFFINITY SYSTEM in Spirit Guardian. But don’t forget, tactics during battle will be equally as important with the real-time combat. Take the time to learn all the intricacies Spirit Guardian has to offer and you will get much from the experience. Spirit Guardian is a game that is easy to play but difficult to master. The game has already been available free to play on both Canadian and Philippine iOS devices. Android version will be released soon. Come experience what Spirit Guardian is all about! For regular updates, be sure to follow Spirit Guardian on Facebook at www.facebook.com/pages/Spirit-Guardian/646800185429730.